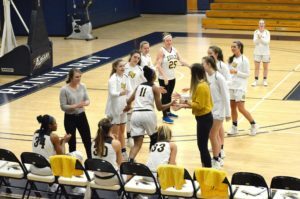 WALESKA, Ga.- Reinhardt Lady Eagles are heading to Appalachian Athletic Conference (AAC) tournament, where they will face against St. Andrews. Lady Eagles are ranked 4th in the AAC conference. The conference games are on a bracket system. Reinhardt is seated 4th and will play 5th seat which is St. Andrews. In previous games against this team, the Eagles record was 2-0 and this will be a challenge. “It is hard to beat a team three times, we have to be focused and ready to go at 8:30 a,m,” said Eagles head coach Lindsay Huffman. 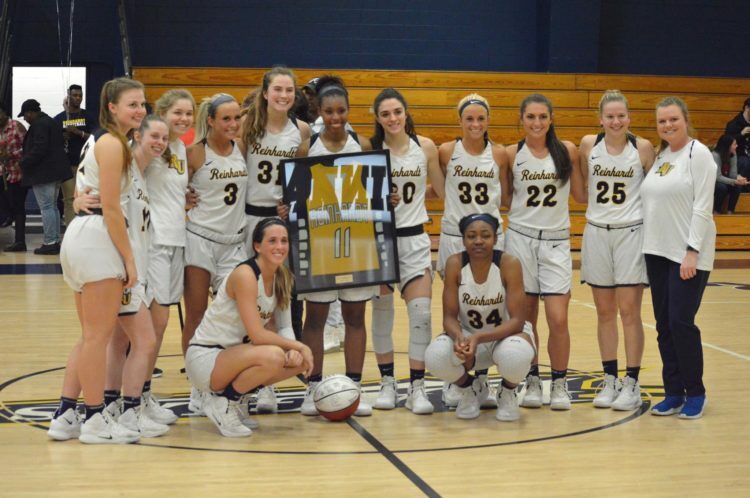 In this season Lady Eagles are 18-11 in the overall season but 17-9 in the conference. 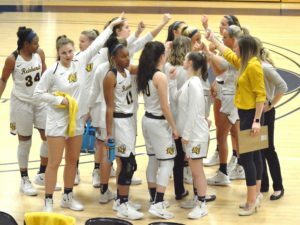 As talking more about the upcoming AAC conference I have interviewed Women’s basketball only senior Jada Hubbard, to see her thoughts about this season. 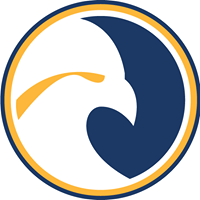 Jada Hubbard and Bethany Headrick lead Reinhardt Eagles averaging 12.9 points per game. Jada has stolen the ball 47 times this season and averaged 2.1 assists per game. Jada reached 1000-point mark against Bluefield. 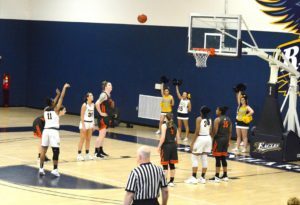 She also scored the buzzer beater in the game against Allen, placing Reinhardt Eagles in the 4th place. Can you describe this season so far? So for my season has been a battle, our team started off good then we hit some bumps in the road and now we are back on track. It’s been a journey that’s not over yet. What do you expect from your team and opponents? I expect my team to play these last couple of games like they are our last. To leave everything on the court and have zero regrets by the end of the season. I expect our opponents to play us hard but that’s okay because we are prepared and ready. What are your team and personal goal/s going into this tournament? As a senior, what can you tell about Reinhardt and how it has grown these past 4 years of you being here? Over the past four years, Reinhardt has grown a lot. The school has changed in so many ways that are beneficial for the students. Dr. Mallard came my freshman year and since then she has changed the cafe, the lake, my apartments, added new apartments and a lot more. I would say Reinhardt is changing so that it can appeal to more people and become more like home.